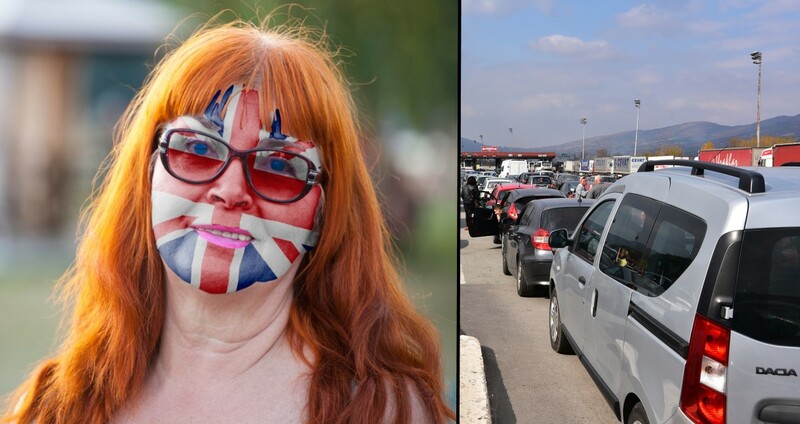 According to her error-riddled and unnecessarily capitalised rants on Facebook, retiree Rhonda Harminson remains strongly in favour of a hard Brexit, probably because she has no idea what it’s like to spend the best part of a day waiting in a never-ending queue at an international border. Harminson, whose presence in her coastal Spanish town has already begun to price locals out of the area, said migrants should be deported from Britain if they can’t contribute the country’s economy. “BREXIT MEAN’S BREXIT!” wrote Harminson, who still thinks “vete a la mierda” means “thank you, ma’am” in Spanish. “FREELODERS are not welcome in MY CUNTRY! Most of those foriegn basturds dont even speak english propely. Its a bloody discrace! Harminson, who drives home to England every year for Christmas, remained unperturbed about the possibility of long lines at the Dover-Calais border. She explained her plan for dealing with the problem when a friend challenged her on Facebook. “The solutions easy, Just have one queueue for Brits and one for foriegners,” responded Harminson, who also seemingly doesn’t understand how traffic jams work. At publication time, a Spanish official was putting the final touches on Harminson’s deportation papers and dreaming of the day Brexit finally takes effect.